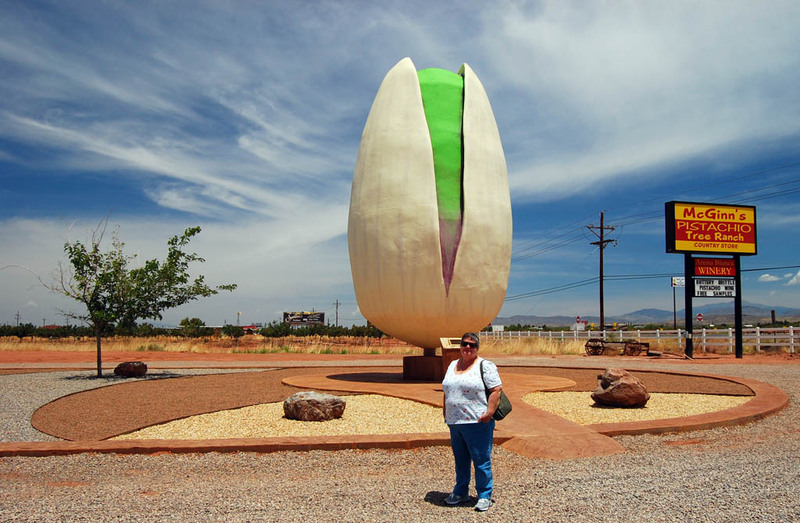 How could you NOT pull in and take a tourist-type picture of a monster pistachio at McGinn’s Pistachio Tree Ranch outside Alamogordo, NM? We pulled in to take a quick picture, but we left with a bag of pistachio brittle and some other tourist stuff. The big nut sucked in a couple of nuts. We’ll write about real stuff we saw when we get back home. 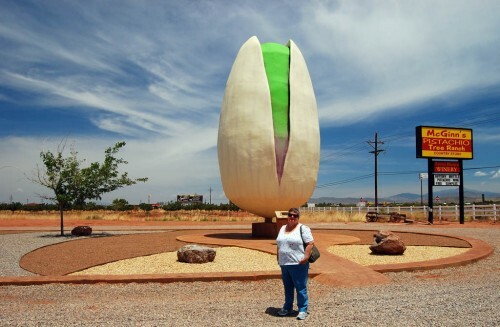 I live in Charlotte and know Stacie, who told me about you and the giant pistachio! Wow, it really is huge and I know they must taste great, too.